January 2015 – Fashion. Retail. Tech. News. Part of this week’s record-breaking earnings call from Apple included a long-anticipated announcement of the Apple Watch ship date, which will start selling April 2015. While Apple has invested in making the design sleek, I argue that they are still missing on the fashion piece. 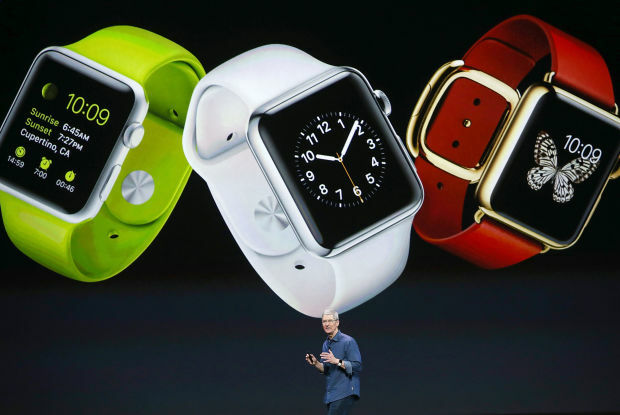 I remain skeptical that the Apple Watch will take off with the fashion crowd. I’d like to see more wearable tech a la Tory Burch, Rebecca Minkoff and Opening Ceremony, which while maybe not as useful as an Apple Watch, at least made style a top priority. Smaller players, too, are claiming stakes in the fashion x wearable tech market. Cuff, a smart jewelry company just closed a $5M fundraising round. Maybe Apple needs to collaborate with a high-fashion partner or bring on a high-fashion creative director. Otherwise, it has an interesting road ahead at joining the fashion industry or targeting a different demographic. Happy Monday! Below is a recap of fashion, retail, and tech news from the last week. Each article is accessible via the hyperlinked text after the headline. Happy Monday! Below is a recap of industry news in fashion, retail, and technology. All sources can be found in the hyper-linked text after the headline.